The Crawford Fund has supported a number of young Australians over the years to undertake intensive training on rice production in Los Baños in the Philippines at the International Rice Research Institute (IRRI), as part of our efforts to encourage young Australian agricultural researchers in their study and careers in international agriculture. Past participants have included Aaron Preston and David Gale who have also both been Crawford Fund conference scholars. More recently, the Fund supported Emily Lamberton, who assisted with this year’s conference scholar activities as a RAID member. Emily is a Graduate Research Officer at ACIAR and she recently had the opportunity to complete the comprehensive three-week training on each aspect of the rice production system. The training allows participants to realise the ways that each component of production feeds into and depends on the other. By facilitating cross-departmental collaboration, and encouraging researchers to work and think outside of their own field of research, participants are able to appreciate the benefits that can be realised. The course stressed the importance of rice research and production methods around reducing environmental impact; increasing tolerance to the changing climate; and, improving production methods as being central to ensuring sustainability for the region. With an increased focus on regional stability, research addressing food security and international training opportunities such as this enables researchers to develop networks in Asia and plays an important role in developing the Australian industry and fostering regional stability. 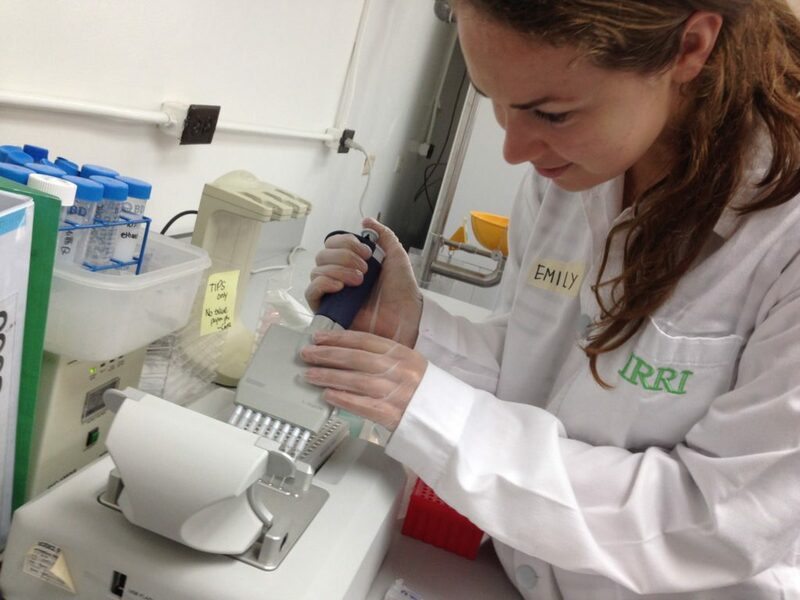 Speaking about her experience, Emily said the course took a whole-of-system approach and, “while packed with tasters from the research perspective, we had just as much exposure to the rice system from a farmer’s perspective. We were out in the field a lot. We participated in practicals, testing out the various sources of power (including manual, mechanical and animal); the various methods of land preparation (manual, hydro-tilling, tractor); and, the different choices that can be made when planting (transplanting age, direct seeding, broadcasting) and harvesting”. 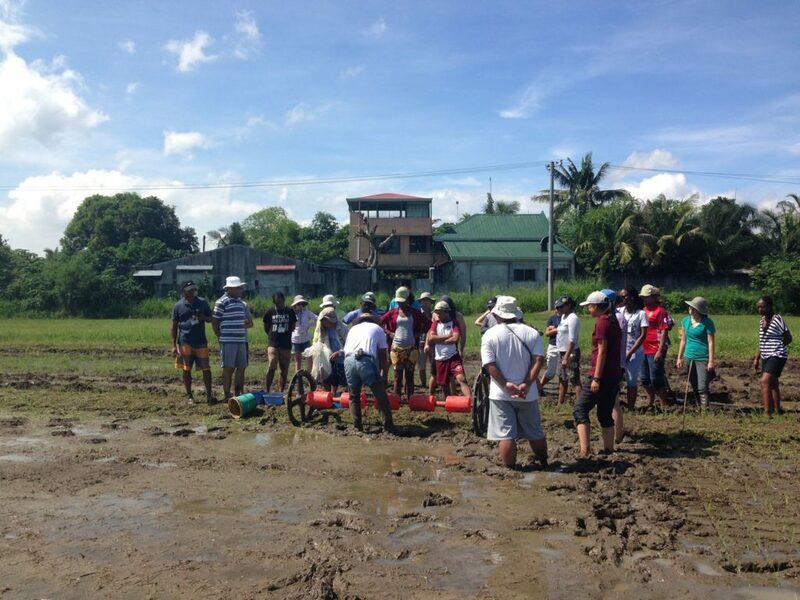 As part of the training, participants had the opportunity to also work with farmers on several occasions. “It created a fantastic opportunity to learn first-hand the struggles and barriers experienced by farmers and the factors that influence on-farm decision making,” said Emily. Participants visited farming cooperatives in Banca-Banca where they held focus discussion groups, while in Banaue they were shown the unique milling and marketing process of the community. Putting theory into practise, the participants were also given 2 hectares each to plant and tend. Upon conclusion of the 3-weeks, they were invited to visit their rice fields for a final time with disappointing results and a sobering reminder. “We certainly had not ‘nailed it!’”, Emily said. “Crop emergence was very poor. The birds had eaten most of our seeds. It was a poignant reminder that production is complex and researchers need to go beyond obtaining perfect results under laboratory conditions. The realities of production for farmers across the world must be truly considered to ensure that the research can really translate into improved livelihood outcomes”. 32 researchers from countries including India, Mozambique, Togo, China and Australia undertook the intensive training. Now back in Australia, Emily plans to keep in contact with them all and says the network she was able to establish was one of the most valuable outcomes for her.